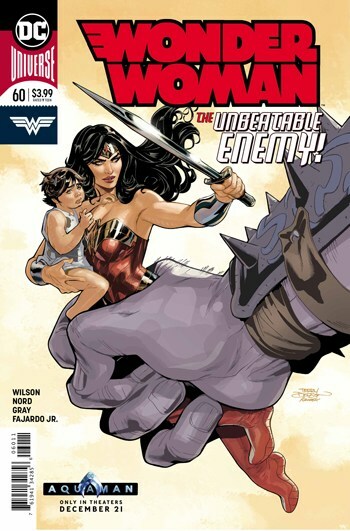 Writer G. Willow Wilson continues on her first story arc on Wonder Woman with The Just War Part III. Ares has escaped from his prison and is wreaking havoc on a village where he has redirected a missile. Wonder Woman faces him down and confronts him at last to see if his intentions have any redeemable qualities. What is considered ‘just’ in war cannot be an absolute, and Ares is forced to face the consequences of his action or lack thereof. Ares attacks with lightning and Diana responds with a crack of her lasso, illustrating at the very least their powers are on par with each other on the battlefield and of wits.